Skype releases a toolbar for Outlook. Today we got a brand new toy from Skype, it is called Skype for Outlook. It integrates into Microsoft Outlook, the email and calendaring program in Microsoft’s Office Suite. This toolbar enables you to use Skype directly from Outlook and should work on all versions of Outlook beginning from version 2000 onwards on both Windows XP and Windows 2000. Skype for Outlook is a plug-in for Skype, therefore, Skype needs to be installed on your system for the toolbar to work. As a side note, Outlook is a different product than Outlook Express which comes free with Windows and this toolbar will NOT work with Outlook Express. Okay, nice new toy, but do you need it? Matching Outlook contacts to Skype contacts is easy. To answer this question you need to ask yourself if you are still using mail or have you moved on? To be honest, I don’t really use mail for personal communication anymore, but do get a lot of business related mail from people I know, which is why I love this toolbar. Skype Staff have recognized that even though they use email less and less, some people and workplaces are still heavily reliant on email. This toolbar comes to their help in providing ways to make communication seamless. To install Skype for Outlook toolbar, just download it, run the .exe and follow the instructions. When you restart Outlook, you be will prompt to authorize an application called SKYPEOBE to use Skype. You should authorize this as it is essential for the toolbar to work. One of the more important things about it is that it integrates Skype presence information into Outlook. Receiving mail from a contact and seeing that his is online can lead to a much quicker response and an increase in productivity to those who rely heavily on email. To be able to associate a Skype name to an outlook contact just press the Looking glass icon on the toolbar. Skype for Outlook tries to find a match from you current Skype contact based on Name and Email, it if fails you can open the combo box and select it yourself. 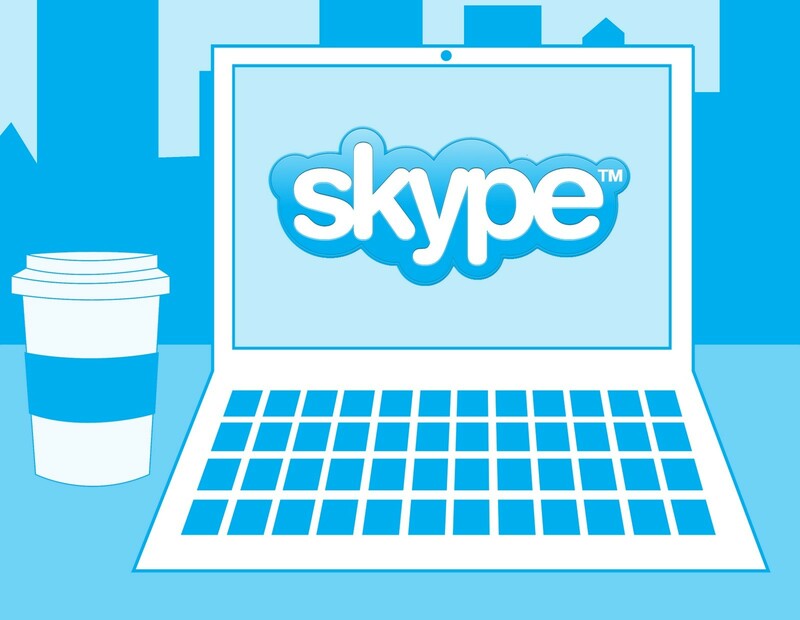 If you don’t have the Skype name of that contact in your Skype contact list you can associate by typing it in. There is also an option to search for the contact’s Skype name using Skype’s integrated search feature. Skype stores the Skype name information in the contact’s radio phone field so you can complete this manually too. There isn’t any way of associating multiple Skype names with one contact, however, I was told that this feature is something that they are looking into for the next release. If you have completed the task successfully, clicking on an email received from Skype contact would show his/her presence and name on the toolbar. Now after you have set up the associations is very simple to use. You can either select what you want to do from the toolbar combobox or you can just hit the appropriate buttons to call or send an instant message. You can also do this by right clicking the email and be going to the Skype for Outlook option. The toolbar recognizes Skype contacts even from the cc and to email headers, giving you the ability to instantly call and chat to people who have received the same email. You can also edit the Skype name either by manually modifying the Radio Phone field or clicking on the ‘Edit Skype name…’ option in the toolbar combobox. Something that I found very neat is that Skype for Outlook enables you to call the phone numbers of Outlook contacts even without these being added to your Skype contact list. You can also set the default country code so if the phone number in your contacts’ profile is in local format (not in international), Skype can complete the phone number when attempting to call such a contact without your intervention. Skype names and telephone numbers are also recognized in the body of an email, making it even more convenient for you to get in touch with whoever you want. Care to start a group chat from email messages? You can do that too. Even chat topics are automatically set to the subject of the email. Special thanks for this product goes to Peter Kalmstrom who started working on an Outlook plugin for Skype quite a while back, drawing the attention of Skype management and having been hired as a contractor to develop this product. Recently he has been hired full time at Skype to continue the development of Skype for Outlook. Matt Taylor, Skype London, who manages the API and other third party developer’s efforts helped do the engineering specifications and testing. Applause to both! Automatically add Skype call to signatures to outgoing email messages. Import contacts to Skype direct from Outlook. Open Outlook contacts automatically for incoming calls. 5 Gadgets Every Modern Kitchen Needs.